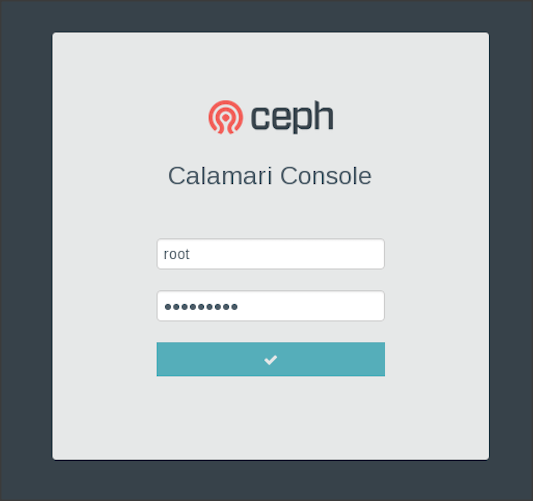 Calamari is a management and monitoring system for Ceph storage cluster. 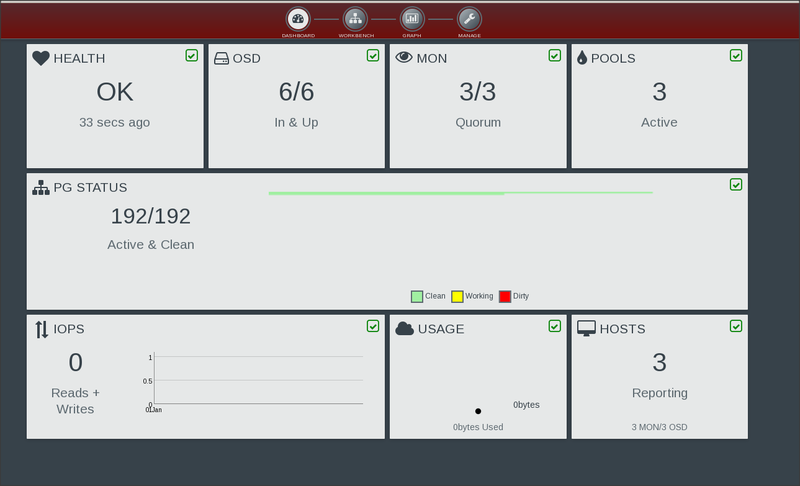 It provides a beautiful Dashboard User Interface that makes Ceph cluster monitoring amazingly simple and handy. Calamari was initially a part of Inktank’s Ceph Enterprise product offering and it has been open sourced few months back by Red Hat. Hence Calamari is a matured enterprise level software which is now Open Source. If you are wondering how you can deploy calamari for your Ceph cluster , this blog will navigate you with the step by step instruction. As of now precompiled packages for calamari are not available , you would require to compile from source and get calamari up and running for your environment. I would like to express my thanks to Gregory Meno and Dan Mick from Inktank ( RedHat ) for their support during troubleshooting. Calamari is the management and monitoring service for Ceph, exposing a high level REST API. Unlike Ceph , Calamari does not comes with prebuilt RPM / DEB packages. If you are interested in calamari you need to build your own packages based on your distributions. To deploy Calamari , you need to build packages for Calamari Server as well as for Calamari clients. These instruction will guide you to build RPM packages that will be used with RHEL based distributions. For Ubuntu DEB packages , most of the steps are same. I would try to highlight extra steps if required. 1. Install GIT and vagrant on your local workstation. For example i am using a MAC workstation and will connect to my Ceph cluster and other servers over SSH. So i would install GIT and vagrant locally on my machine. On this workstation we will create some vagrant instances and inside those vagrant instances we will build RPM packages for Calamari server and client . Once packages are built , we will transfer the packages from the workstation to the Server machine that you designate for Calamari server and calamari clients. 2. Clone calamari server and diamond repositories. remote: Counting objects: 10253, done. remote: Compressing objects: 100% (4433/4433), done. Receiving objects: 100% (10253/10253), 20.53 MiB | 3.55 MiB/s, done. Resolving deltas: 100% (5434/5434), done. remote: Counting objects: 16225, done. remote: Compressing objects: 100% (9229/9229), done. Receiving objects: 100% (16225/16225), 3.79 MiB | 1.19 MiB/s, done. Resolving deltas: 100% (6170/6170), done. 3. Check calamari contents , under vagrant directory , you would find various distributions . Select your distribution and perform vagrant up. Ubuntu users : In this step select the vagrant directory precise-build for ubuntu DEB packages. drwxr-xr-x  32 ksingh  wheel   1088 Sep 17 10:34 .
drwxr-xr-x   4 ksingh  wheel    136 Sep 17 10:36 ..
drwxr-xr-x  11 ksingh  wheel   374 Sep 17 10:34 .
drwxr-xr-x  32 ksingh  wheel  1088 Sep 17 10:34 ..
drwxr-xr-x   4 ksingh  wheel   136 Sep 17 10:34 .
drwxr-xr-x  11 ksingh  wheel   374 Sep 17 10:34 ..
4. Finally perform vagrantup for Centos distribution, this will create a virtual environment with all the prerequisite necessary for calamari server package building process. Copying salt minion config to vm. Salt successfully configured and installed! run_overstate set to false. Not running state.overstate. run_highstate set to false. Not running state.highstate. 6. Build you Calamari server RPM packages , with the below salt command. 7. The output summary confirms that there are 11 Successful and 0 Failed operations . List the directories to find your Calamar Server RPM package. Don’t worry this should be copied to the base directory of your workstation , as the same has been shared and mounted with vagrant instance. 8. You should now exit from the centos vagrant machine and on your local machine list the directory you would find rpm packages for calamari server and diamond. drwxr-xr-x   7 ksingh  wheel       238 Sep 17 11:18 .
drwxrwxrwt  10 root    wheel       340 Sep 17 11:46 ..
9 . At this point you are ready with Calamari server RPM packages. The next step is to build calamari client packages. The calamari client packages provides the GUI to calamari dashboard. As calamari build process is not greatly matured , we need to use ubuntu vagrant to build client packages. This will generate a tarball of client packages , that you can use with centos machines. CentOS / RHEL users : Note , this will not generate any RPM package and you would need to user tarball. Ubuntu Users: Cheers , you will get DEB packages that you can use directly. CentOS / RHEL users : Don’t panic , you also have to user ubuntu precise vagrant instance in order to build Calamari client tarball. remote: Counting objects: 16261, done. Receiving objects: 100% (16261/16261), 28.81 MiB | 4.01 MiB/s, done. Resolving deltas: 100% (9441/9441), done. drwxr-xr-x   8 ksingh  wheel       272 Sep 17 12:03 .
drwxr-xr-x   4 ksingh  wheel  136 Sep 17 12:04 .
drwxr-xr-x  10 ksingh  wheel  340 Sep 17 12:04 ..
New release '14.04.1 LTS' available. 5. Check the shared filesystem and read my comments against the output. Deploying calamari is again a multi step process. #3 Install diamond and salt-minion on Ceph nodes , that you wish to monitor using Calamari dashboard. Copy the following packages that we have generated in the earlier steps from the workstation to the server that you intend to configure as calamari master. Ubuntu Users : Copy the DEB packages of calamari server and client. 1. Instal the packages on the node that will be your Calamari master. [INFO] You will now be prompted for login details for the administrative user account. This is the account you will use to log into the web interface once setup is complete. This username and password would be required to login to Calamari dashboard. 4. Openup browser and navigate to the IP address of your calamari server. You would see calamari dashboard login page , provide the login details that we have set in the last step. 5 Calamari would not be able to find the Ceph cluster and will ask to add a cluster , for this we need to add Ceph clients to dashboard by installing salt-minion and diamond packages on them. Perform the following steps on all your Ceph cluster nodes, inorder to add them to Calamari dashboard. 2. Create a default diamond configuration file. 4. Configure salt-minion , so that it can reach to Calamari master. Edit /etc/salt/minion and add your calamari server hostname. 1. From calamari master check for unaccepted salt-keys. Key for minion ceph-node1 accepted. Key for minion ceph-node2 accepted. Key for minion ceph-node3 accepted. 3. Finally check calamari dashboard , you should be able to view the Ceph cluster.